Transplanting seedlings, selling organic plants to customers and maintaining school grounds organically is all in a day's work for the 75 students engaged in Peter Hinrichs' curriculum at The Learning Prep School in West Newton, Mass. Hinrichs, accredited since 2009 (Newburyport, MA course) works as the horticultural specialist, greenhouse manager and curriculum developer for the alternative school's landscape program. To his new position (he started in February 2013) he brings five years experience working with inner-city youths aged 16-22 at YouthBuild Boston. Hinrichs sees parallels amongst these young populations. Understanding the underlying principles for growing healthy fruit becomes clear when walking through an orchard with Michael Phillips. 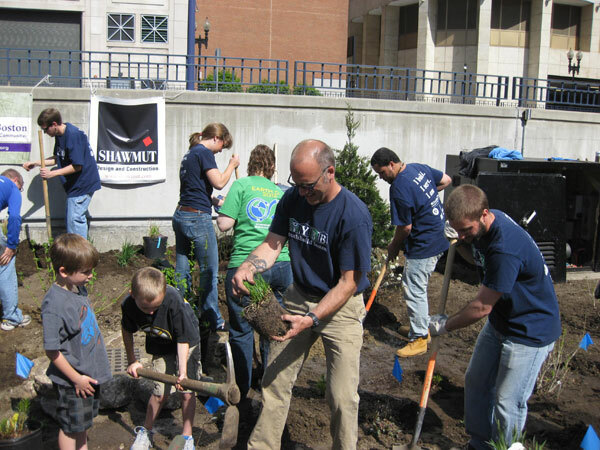 The challenges you face at your locale will become far more manageable as you build a holistic system that keeps trees and berry plantings healthy from the get-go. Are Your clients asking for safe, organic lawn care? 17 million additional households said they "definitely will start using all-natural methods in the future." Get Confident! You CAN grow grass organically! We appreciate the support of our AOLCPs! To give you more benefits, we have reached out to like-minded businesses which have products AOLCPs may need, like compost supplies or soil testing. We give AOLCPs with supply businesses the FIRST opportunity to become partner businesses. All businesses will offer AOLCPs unique discounts. AOLCPs will receive a code that they can use as proof of accreditation when making purchases from partner businesses. Click here to see a list of benefits that are currently available, and check our website often as we add more partners to this program! If you are a current AOLCP, expect an email from us soon with your coupon code that you can use to receive these discounts. If you want to be a participating business, click here. The AOLCP searchable database has been going through necessary updates over the past several months in order to ensure that it runs smoothly and appears attractive to potential clients. We are pleased to announce that Flickr photo sharing, a capability that had been disabled during the update process, has now been re-enabled. 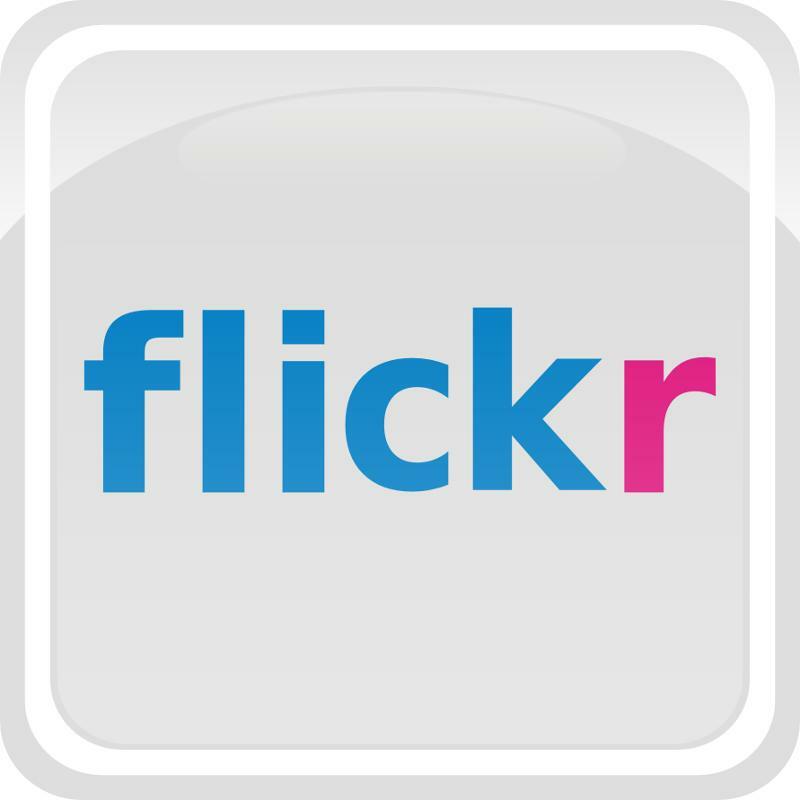 AOLCP Business Members may now upload photos from Flickr to their profiles on the database. Make yourself stand out to potential customers and add photos to your profile today! Need a refresher on how to update your profile? Check out this profile primer that explains how to set up and edit your profile. Discussions on LinkedIn this month: Join the Conversation! 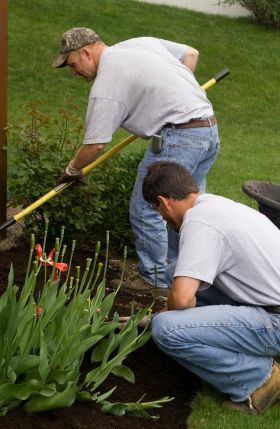 Have a professional landscaping question? Want to connect with fellow AOLCPs to discuss challenges and successes in the industry? LinkedIn provides an easy to navigate forum to do just that, and NOFA OLC has it's own group on the forum just for AOLCPs! Here's an example of what a typical thread on the forum looks like. Want to get involved? It's easy to join - just click here and then click join. NOFA Summer Conference Workshops Announced! 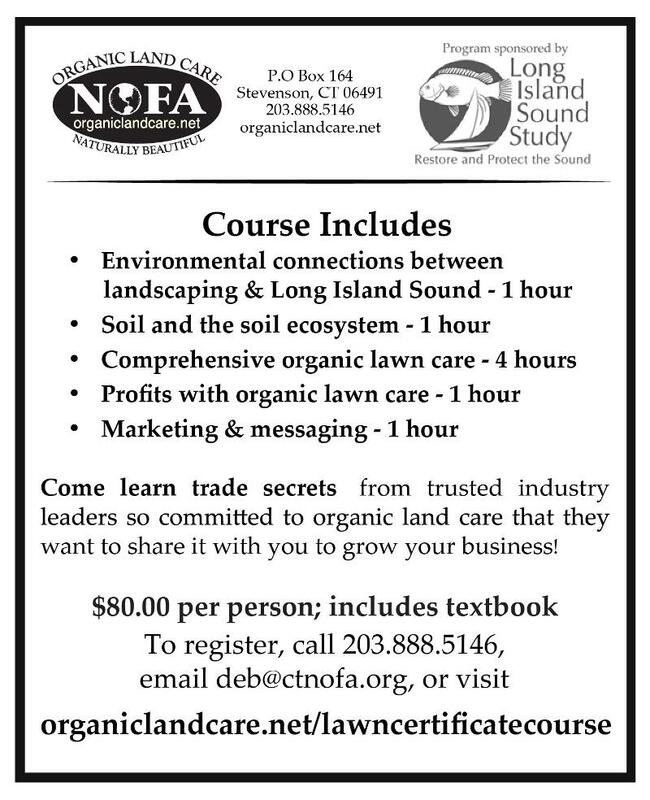 Join NOFA for a weekend of learning, networking, and fun with people who are transforming farming and land care in the Northeast. In addition to hundreds of practical skills and workshops, the conference features live entertainment, children's and teen conferences, a country fair, organic meals, 100 exhibitors and much more. With over 200 workshops, including an organic land care track, there's sure to be something for everyone. Learn more about the conference and register here. 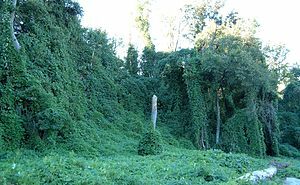 Last month, we reviewed the background and definition of invasive plants, and talked a bit about why it's important to make sure that the plants being added to the landscape are either native or don't pose an invasive threat to native plants in the area. This month, we continue the discussion about invasives by reviewing best practices for treating invasive plants. As spring comes into full swing, now is an especially important time to stay on top of existing invasives in order to either prevent them from reproducing, or removing them completely. 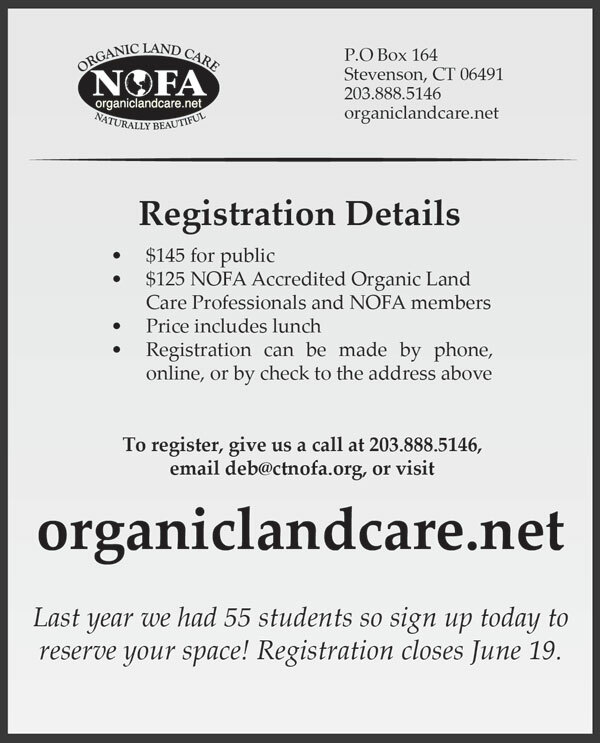 The following excerpt can be found on page 39 of the NOFA Standards for Organic Land Care. It is strongly recommended that invasive and potentially invasive plants be removed from all sites under management. Land care professionals must first be sure to correctly identify a plant as invasive and then determine the best way to remove and dispose of it. For example, certain invasive plants may be pulled or dug, but extreme care must be exercised to prevent further propagation from root or stem fragments or other propagules. Disturbance of the soil by digging may also bring invasive plant seeds to the surface. 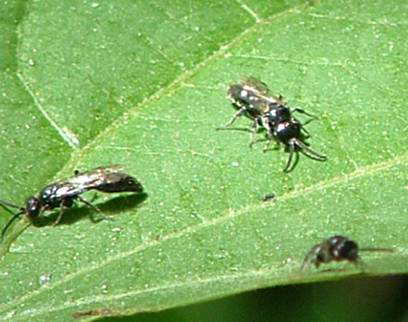 Best organic removal methods are still being studied. The land care professional needs to learn about the biology of the invasives he is battling and research control strategies. When removal of an invasive plant is not possible or the client refuses to allow it, the plant should, if at all feasible, be pruned immediately after the first flowers begin to fade to reduce or prevent the formation of seed. 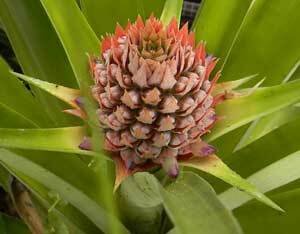 All flower parts should be removed and composted in a manner that will keep the seed from maturing. It is critical to understand the life cycle and seed dispersal mechanism of a species in order to use this method effectively. After invasive plants are removed, it is important to fill the void with mulch or a cover crop so that seeds brought to the surface during the removal process will be less likely to sprout, and also to replant with native species as soon as possible to prevent re-colonization by invasive plants. 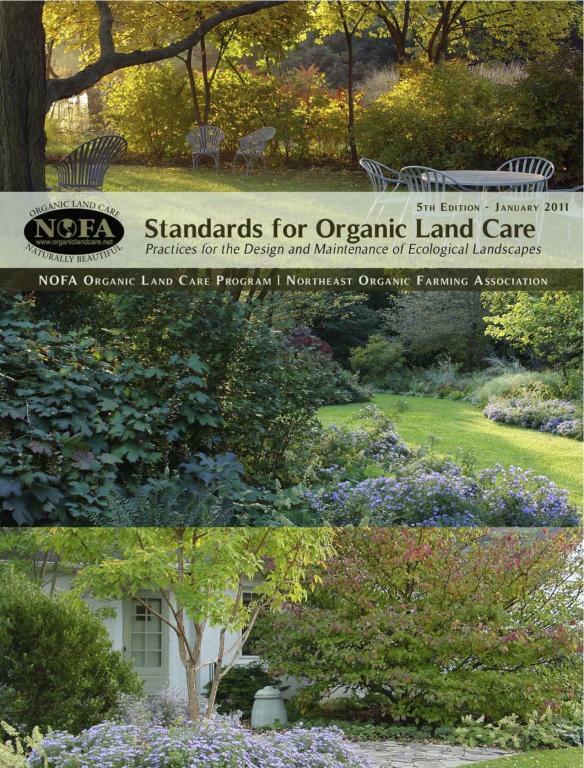 For a full list of preferred, allowed, and prohibited treatments for invasive plants, see pages 39 and 40 of the NOFA Standards for Organic Land Care.